Donald Fritz carried out countless missions while serving in the United States Army during the Korean War. 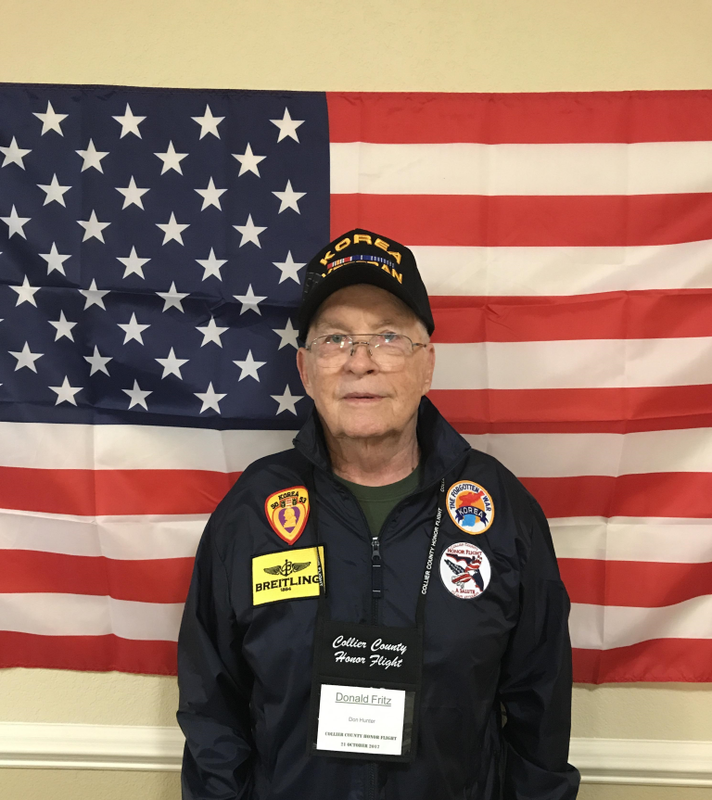 Sixty one years later, Fritz packed his bags for one more mission, this time during the wee hours of Saturday, to catch a flight to the nation’s capital. Fritz, a resident at Sandalwood Village, a premier active senior living community in Naples, FL, joined more than 70 World War II and Korean War Veterans and their volunteer guardians for “Collier County Honor Flight Mission 15” to visit monuments and historical sites in Washington D.C., including the World War II Memorial, the Korean War Memorial, the Vietnam Memorial, and the changing of the guard at Arlington Cemetery. The trip served as a homecoming as well. Before enlisting in the United State Army, Fritz grew up eighteen miles from Washington D.C., and was eager to visit with relatives and family members during the trip. More than 1,000 family members, local service members and law enforcement greeted the returning veterans at Southwest Florida International Airport. Mission Accomplished.